What would you sacrifice to save someone from damnation? 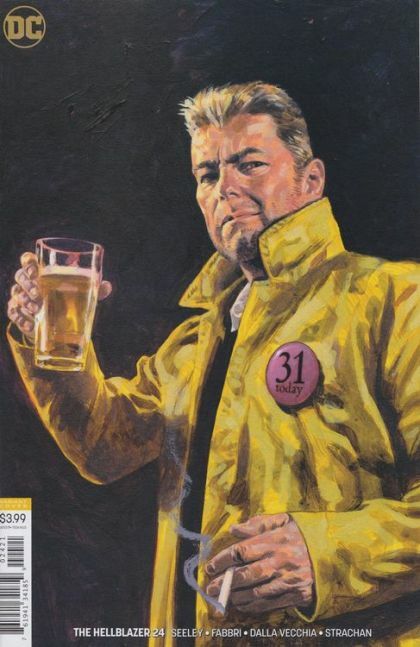 The final chapter of "The Good Old Days" puts what may be the final nail in John Constantine's coffin: preparing to say goodbye to this mortal coil, John's oddly introspective, brooding over an ex-lover who's possessed by demons. Since she can't be exorcised, she's bound for Hell-unless John makes the ultimate sacrifice and takes her place. Pack light, John-we hear it's warm where you're going.